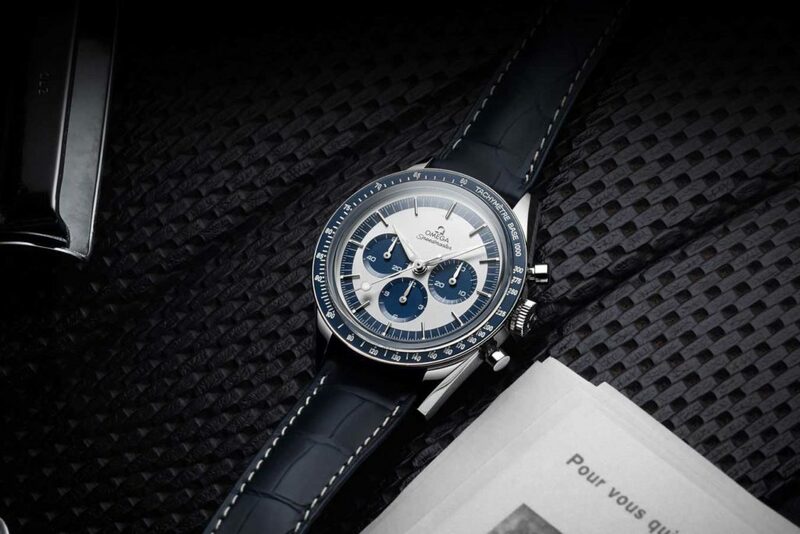 The “was” is expressed through the amazing historic iconography of the CK2998, the second but best-known incarnation of the legendary Speedmaster chronograph, the first timepiece to shift its tachymeter scale to the bezel of the watch, creating far greater legibility and becoming the blueprint for every great sports chronograph to come. 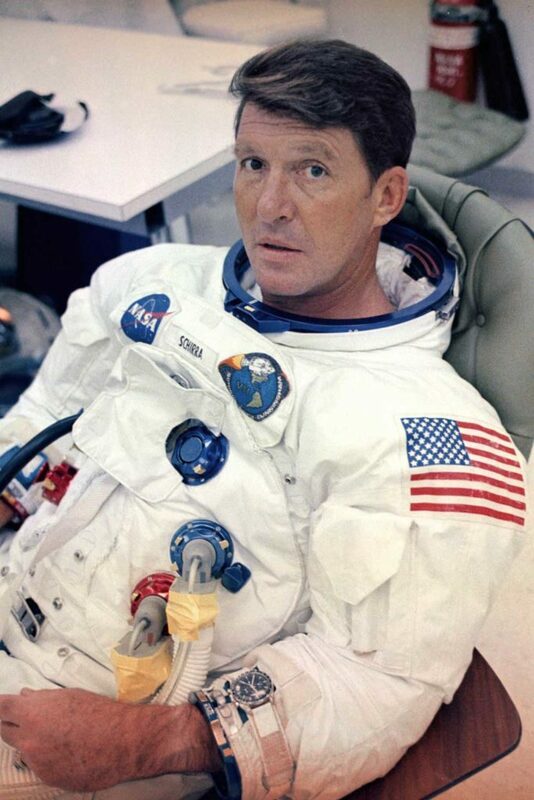 The CK2998, introduced in 1959 as the successor of the CK2915, occupies the heavyweight throne as the most famous sports chronograph of all time, thanks to being the only watch to qualify for use by NASA, as well as being the first Omega watch in space, worn on the wrist of Mercury Atlas 8 Astronaut Wally Schirra. 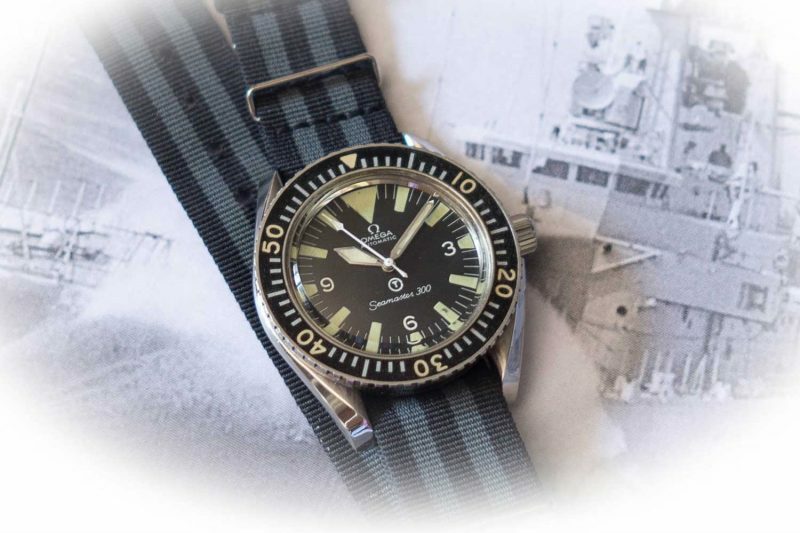 The “was” is also expressed by the utilization of the original watch’s size of 39.2mm in diameter, as well as timeless design including the combination of Alpha hands and a lollipop seconds hand — gleaned from the most desirable of the CK2998 iterations. 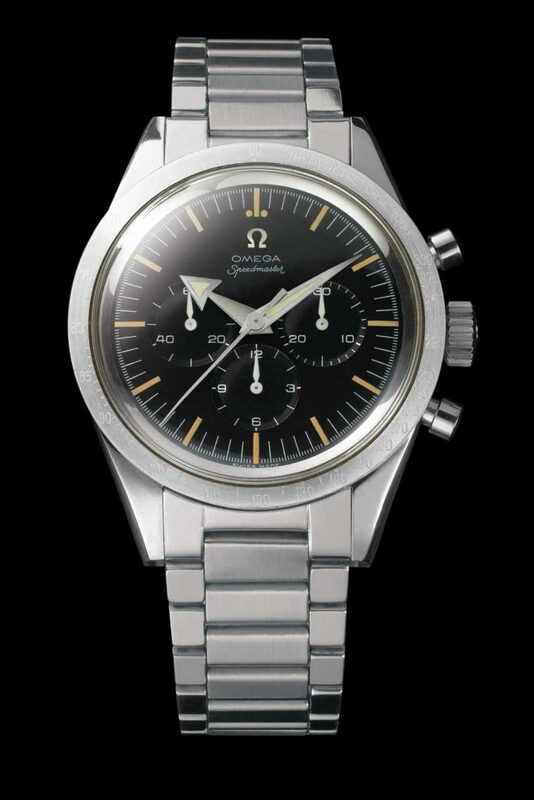 The “was” also refers to the mythical Caliber 1861 shuttle cam-equipped movement designed by Albert Piguet and is found in the majority of post-Moon Speedies, as opposed to the Lemania column wheel chronograph Caliber 321 found in the original watch worn by Schirra. 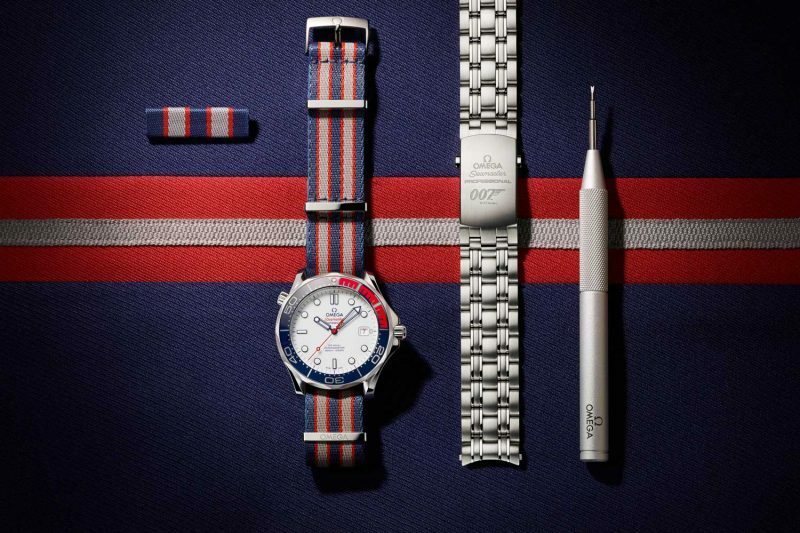 The “is” comes from the fact that rather than simply remaking a vintage watch, Omega has selected to create an all new reference with a blue and silver “Panda” colorway that has never before existed for the CK2998. 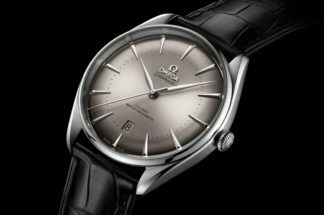 The “is” is the demonstration of extraordinary subtle refinement such as the applied Omega symbol at 12 o’clock that sits just beneath a subtle guilloché-treated seconds track that adds a beautiful, subliminally rich detail. 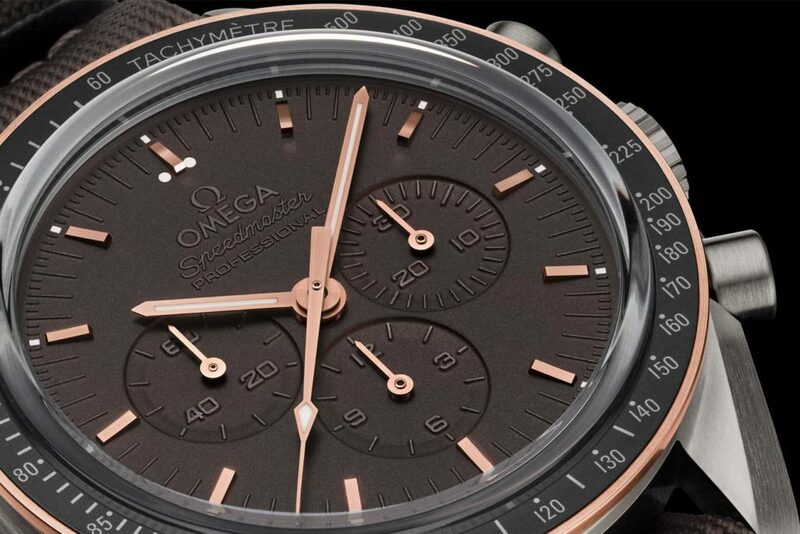 Then there is the incredible ultra-thin ceramic bezel, with luminous tachymeter scale (configured on the retro-cool 1,000 kmh/mph base), which in combination with the large luminous lollipop on the seconds hand makes it the only watch (along with a few other Speedmasters) capable of recording average speeds in low- or no-light conditions. 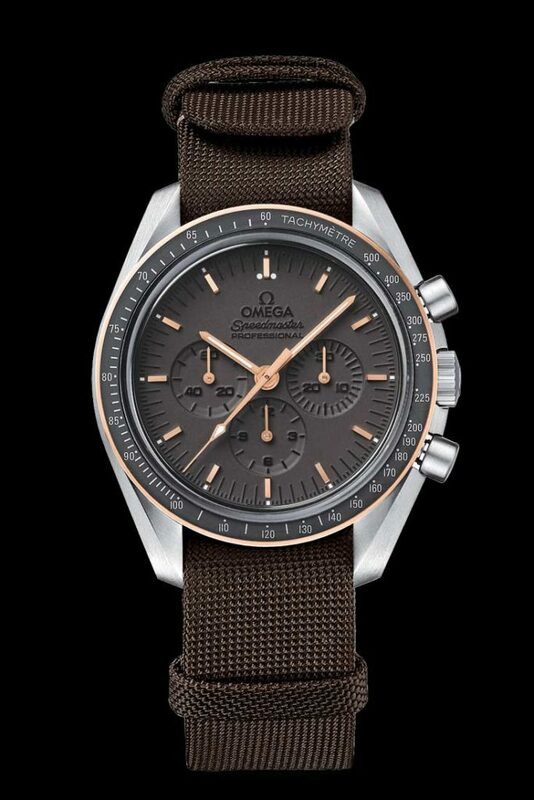 And Omega does this all without shouting, preferring to innovate with its signature discreet charm. As Omega President & CEO Raynald Aeschlimann says: “When you hold our watches in your hands, what you feel is the incredible passion we have for the brand. We are very much in touch with the vintage collecting community, we are very much in touch with the contemporary customer and we are always striving to be true to our history, even while pushing innovation for our watches at all levels. “It’s for this reason that we adopted the Co-axial escapement – the greatest revolution in escapements in the modern era, created by one of watchmaking’s geniuses, George Daniels, radically reducing friction, increasing reliability and significantly extending service intervals for watches. 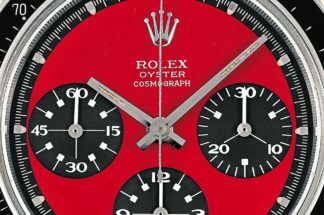 And it’s the reason that we pioneered the technology for ceramic bezels with printed Super-LumiNova scales to radically extend the lifespan of bezels and provide a level of performance that did not exist in the watch industry related to legibility in all light conditions.” The result was that the watch sold out in seconds, and I had to pay well over retail for mine. 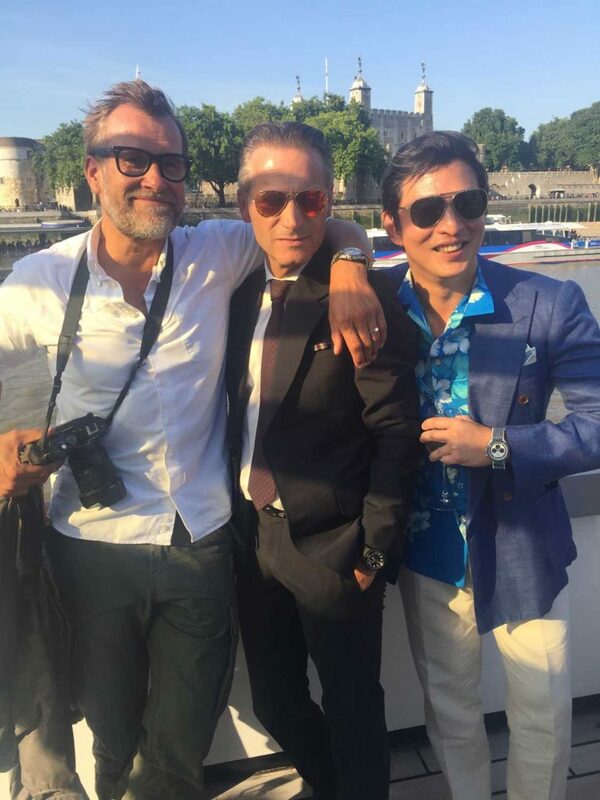 I am apparently not over this yet. 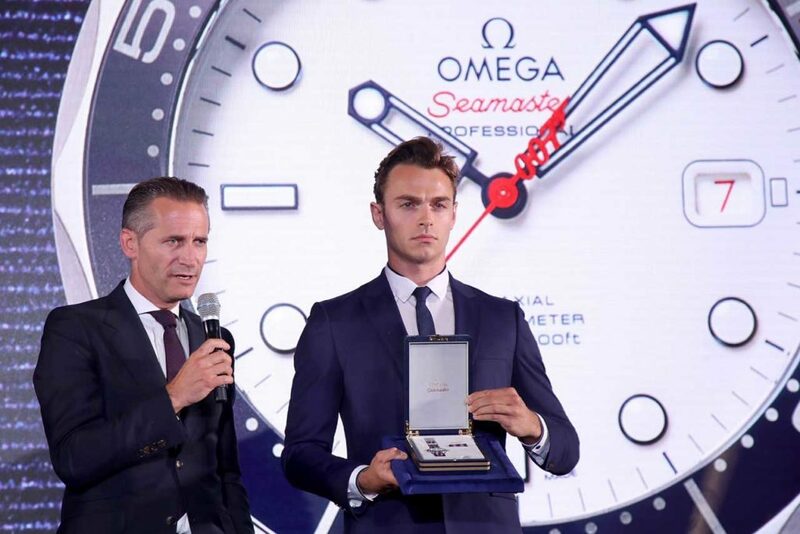 What Aeschlimann omits to mention is that Omega is the creator of several of the most collectible sports watches in recent memory. 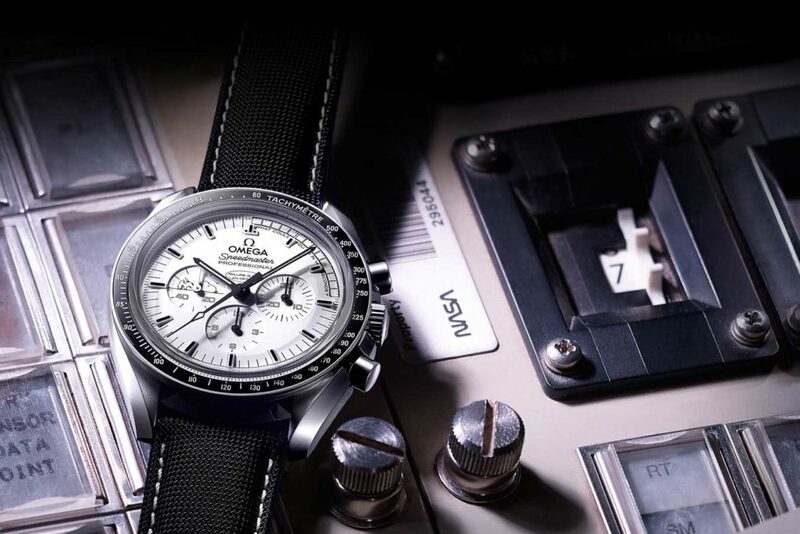 In particular the Silver Snoopy Tribute to Apollo 13 released two years ago – one of the most charming timepieces in existence and currently trading at close to three times retail price on the aftermarket. 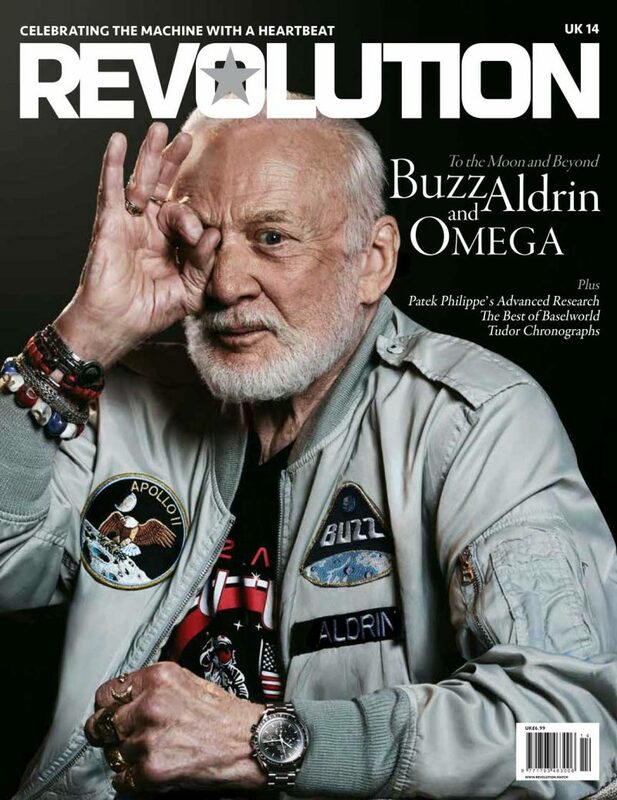 Yes, many of us in the Revolution office are kicking ourselves for not scooping one up. It features a charming use of Charles M. Schulz’s Snoopy to remind us of the extraordinary heroism of the Apollo 13 astronauts and how, in 1970, they used an Omega Speedmaster for re-entry into the earth’s atmosphere after all on-board electronics failed. 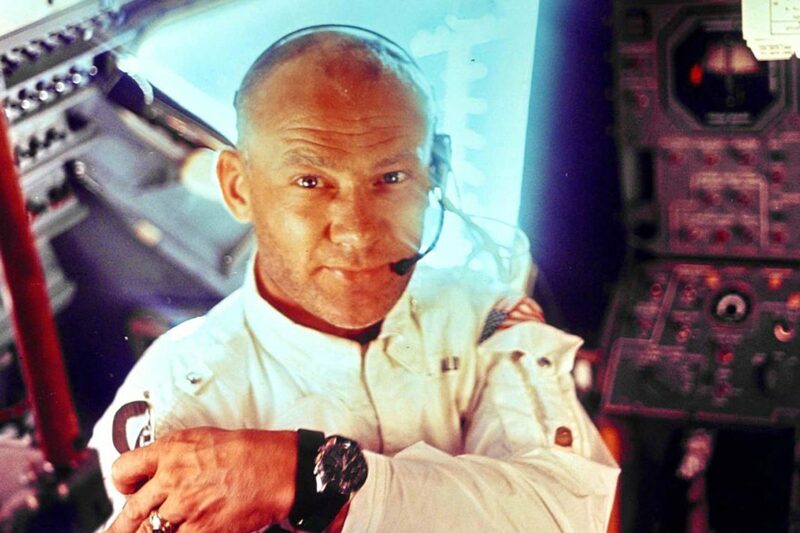 This amazing tribute features a luminous Snoopy in the running seconds subdial, declaring “failure is not an option,” while the seconds track at the perimeter of the dial reads “What could you do in 14 seconds?” referring to the precise amount of time calculated by astronaut Jack Swigert’s Speedmaster for the critical rocket burns that enabled the crew to return to earth unharmed. 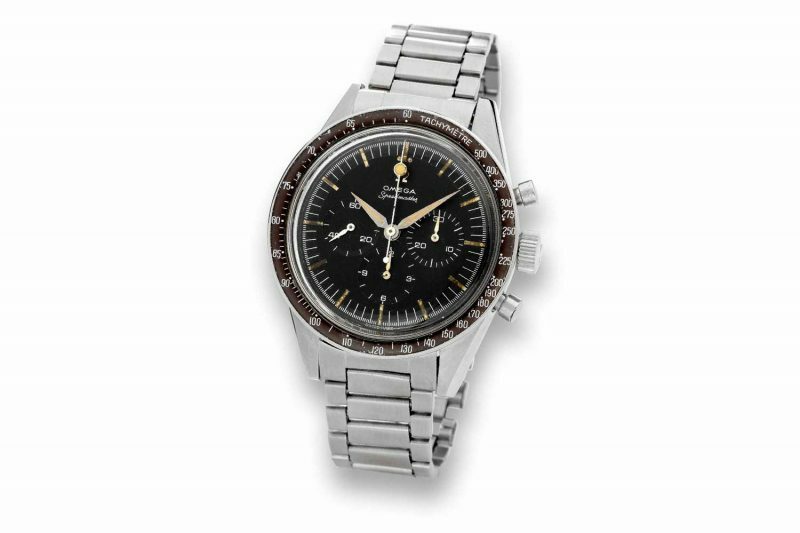 The Snoopy Award, one of NASA’s highest honors for “dedication, professionalism, and outstanding contributions in support of the first United States Manned Lunar Landing Project,” was bestowed upon Omega by the Astronauts of Apollo 13 upon their safe return. 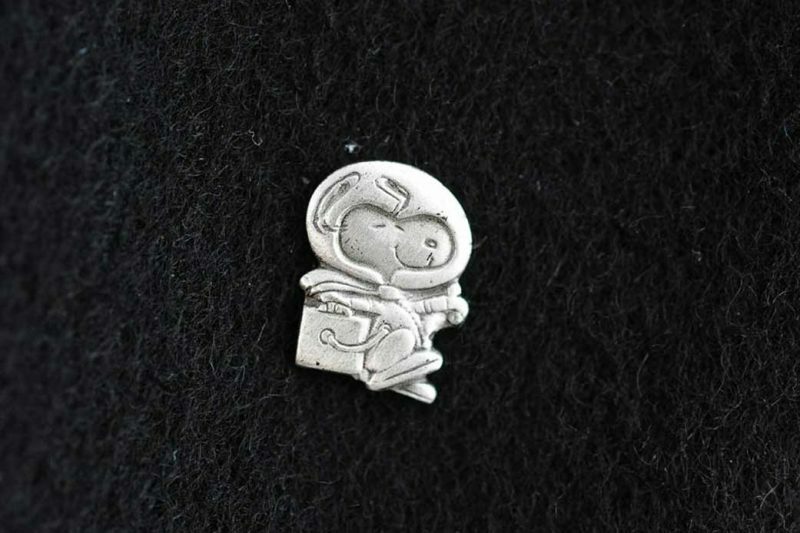 This was commemorated in the Silver Snoopy Speedmaster with a hand carved Snoopy figurine set against a backdrop of dark blue enamel found on the watch’s caseback. 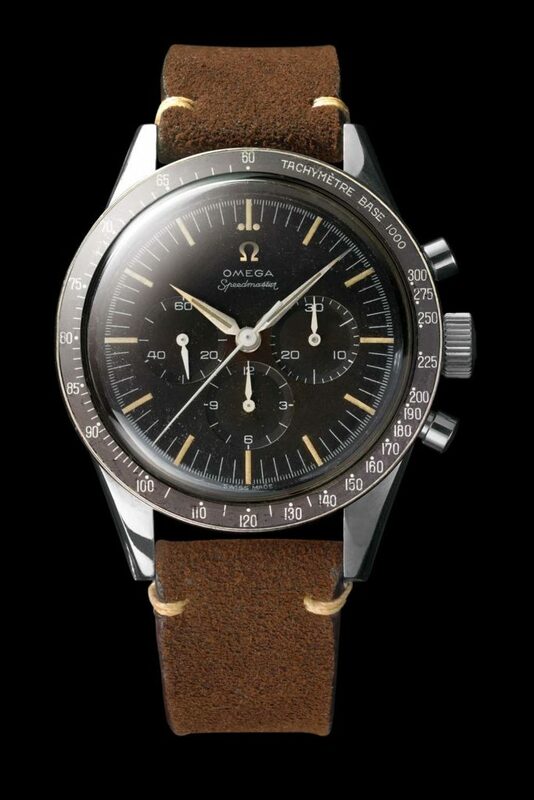 Says Aeschlimann, “Of course it’s not the objective but when you see how sought-after these watches are, how much they are trading for on the secondary market and how these prices are set in an organic way by buyers and not by market manipulation, it makes us feel as if we are creating the right kind of timepieces.” And, yes, dammit, this stunning timepiece also features a ceramic bezel with luminous tachymeter. That’s right, he made a conscious decision to strap his Omega onto his wrist because what kind of Space Cowboy would be complete without his most heroic of timepieces? 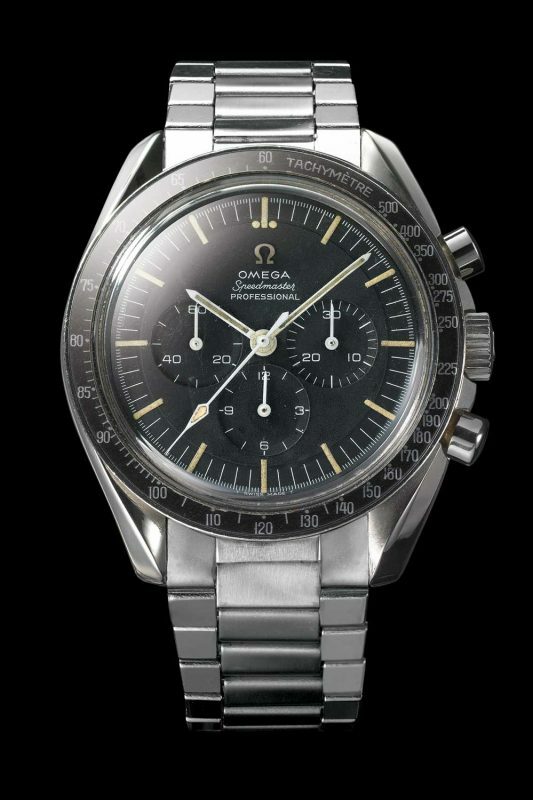 This made his Speedmaster the first watch on the Moon. 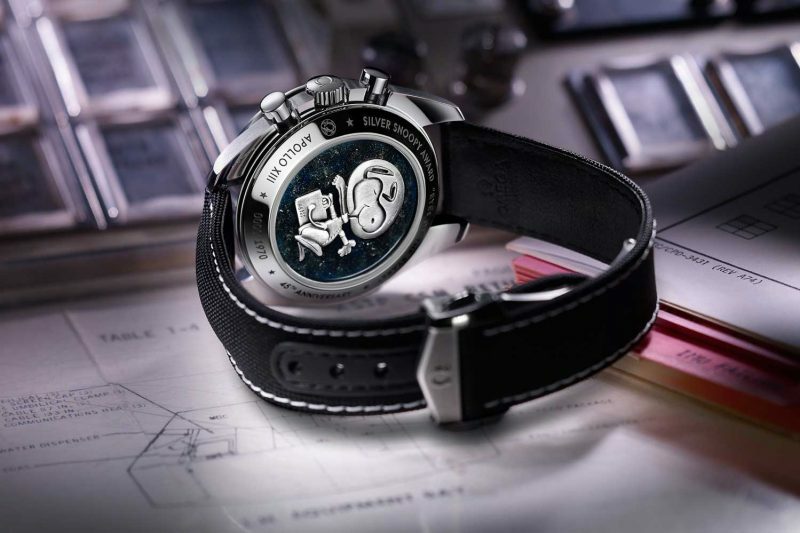 While the Tribute to Apollo 11 features the familiar crown guards and lyre lugs of its ancestor, the seminal ST 105.012, it is transformed into an achingly modern timepiece through the use of matte, brushed Grade 2 titanium, combined with a Sedna gold bezel. Similarly, the iconography on the dial looks familiar until you realize it has been executed by first PVD to create a matte, almost sinister, stealth surface, followed by laser engraving to excavate material around the subdials and indexes. 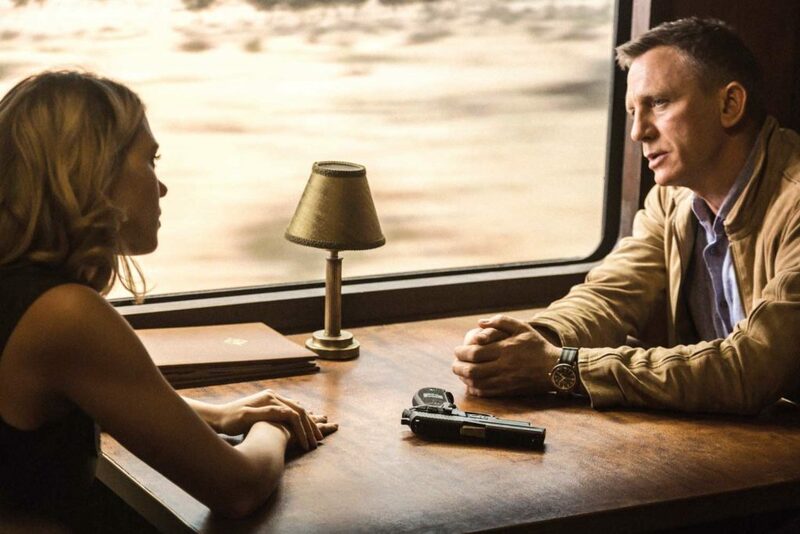 In the film world and specifically the métier of costume design, Hemming is one of the most revered and fabled in the business. 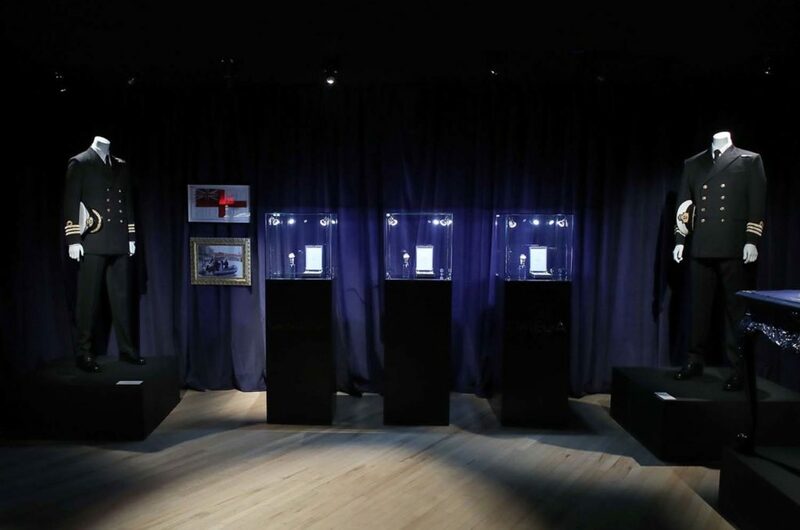 She has overseen the costumes for Wonder Woman and Christopher Nolan’s Batman trilogy. 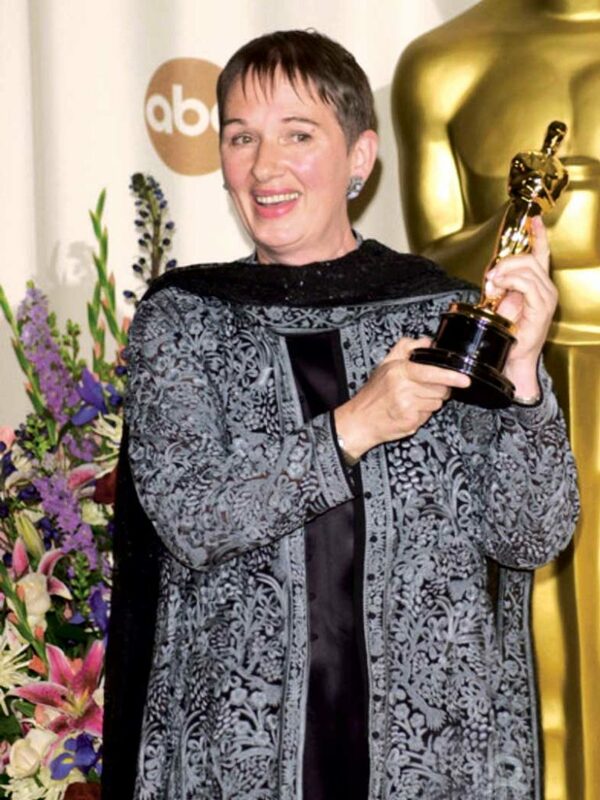 She has won both the Academy Award (in 1998 for Topsy Turvy) and the Costume Designer Guild Award. And she is most notably the individual that first put an Omega watch on James Bond (played, at the time, by Pierce Brosnan). 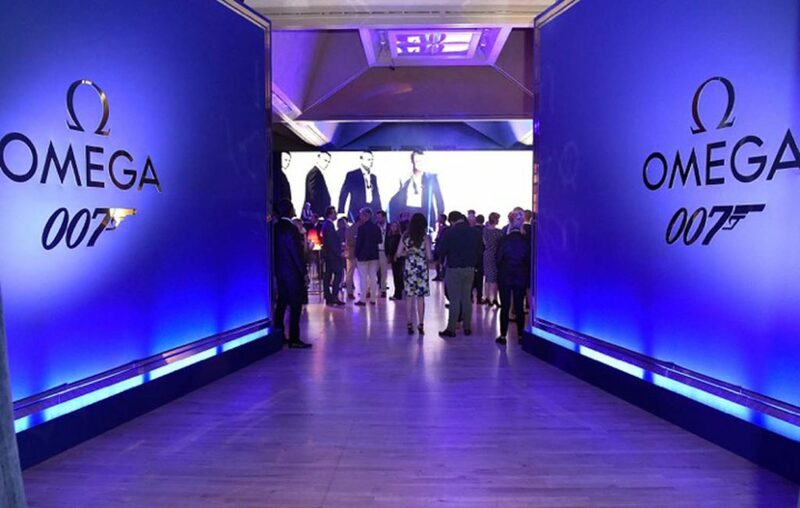 “It’s all in aid of character,” she says. 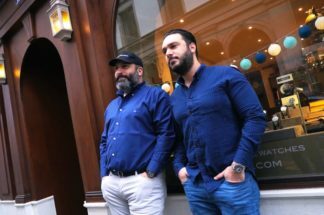 “My role is to assist the directors and the actors, to evoke an added dimension to the character but never in a way that is distracting or showy. 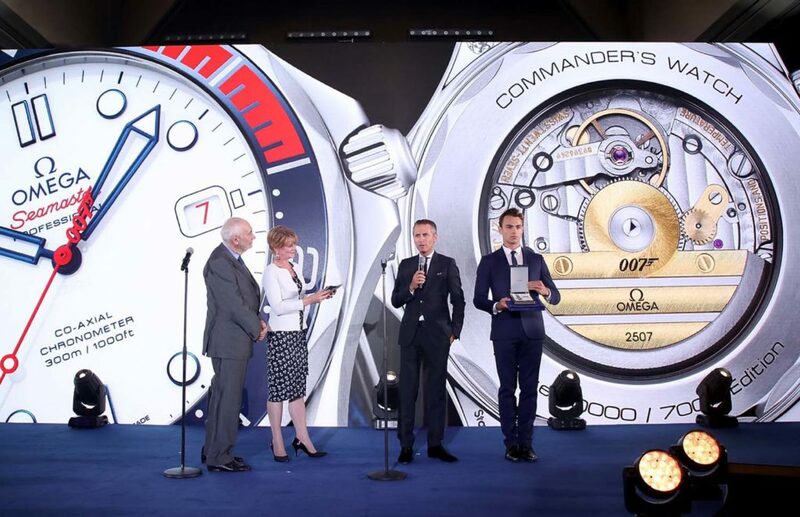 With Bond, it made sense for him to wear a purposeful, utilitarian, timepiece like an Omega (a Seamaster Diver 300M), which like him is heroic but also confidently understated. 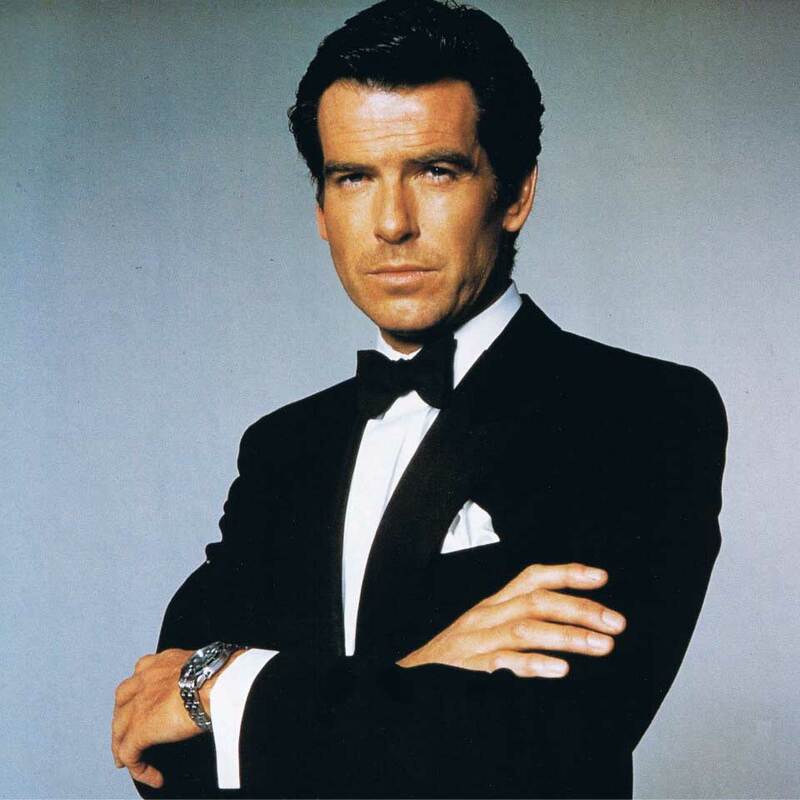 For Golden Eye, the challenge was how to reinvent a man that is international and sophisticated for the 1990s.” The Omega Seamaster Diver 300M would remain on Bond’s wrist for all four of Brosnan’s films. 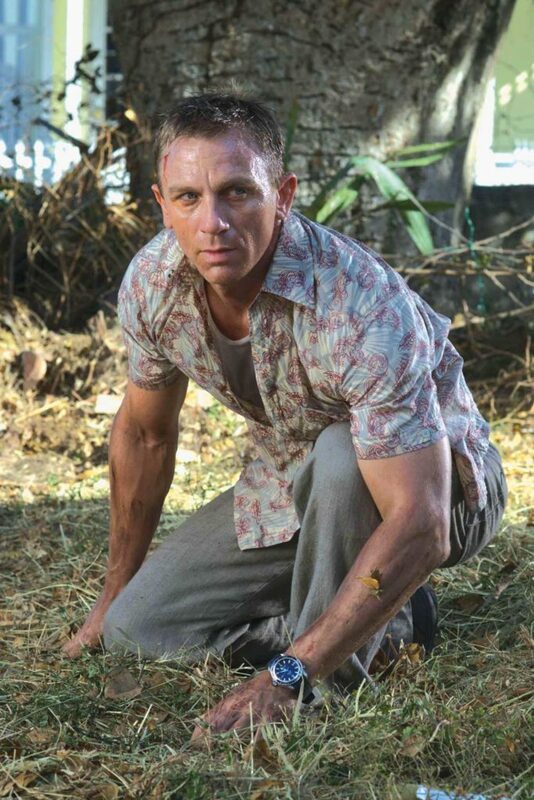 With the arrival of a new Bond, Hemming expressed the character through the Omega he wore. 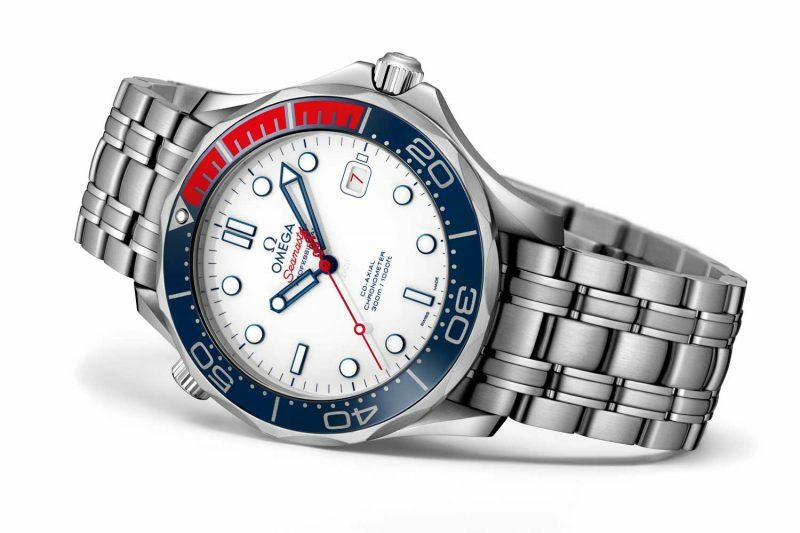 She explains, “With Daniel Craig you have a Bond that is more powerful and darker and that is expressed both in the cut of his clothes and the more pragmatic, purposeful aspects of the timepiece he wears.” This is well expressed by the Seamaster Planet Ocean 600M he wears on a rubber strap. 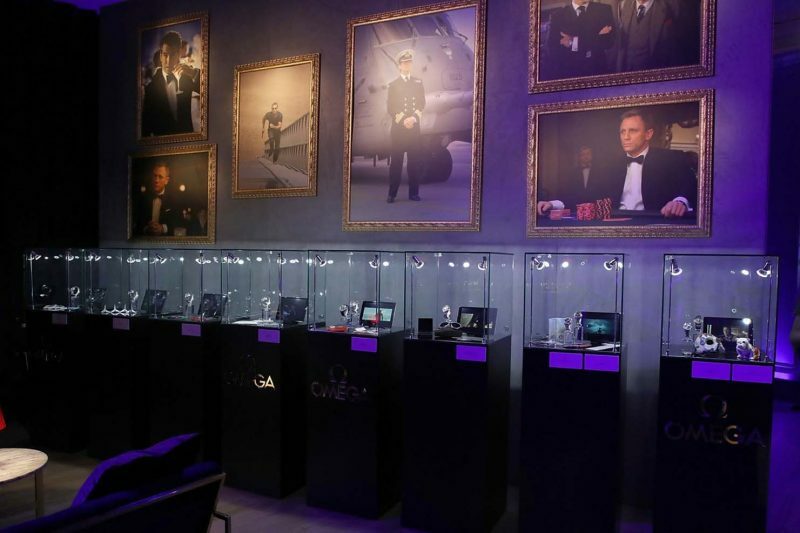 In fact, in Casino Royale, Craig wears the more classic Seamaster 300M associated with his predecessor before switching to the Planet Ocean – something you could see him doing at Q branch, selecting a more sinister watch from the quartermaster extraordinaire. 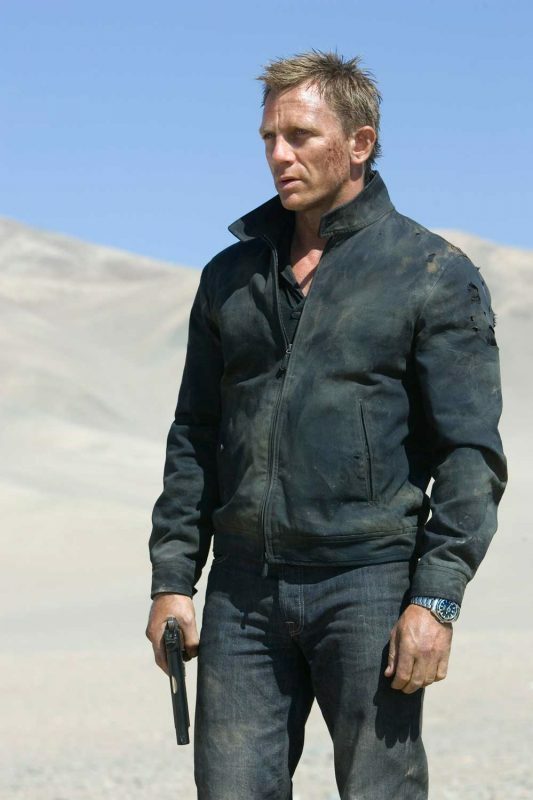 The Seamaster Planet Ocean remains on his wrist during Quantum of Solace – this time in bracelet form – while in Skyfall an Aqua Terra model joins his horological repertoire. 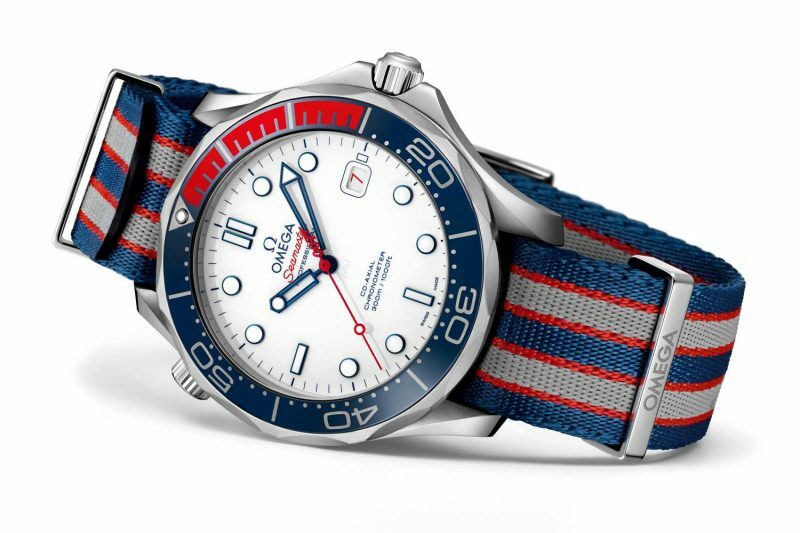 But, to my mind, the best Bond watch made by Omega to date is the stunning vintage themed Seamaster 300 on James Bond NATO strap worn by Craig in Spectre. 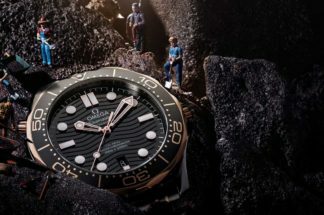 I suggest that Aeschlimann is doing similar things with Omega — connecting its incredible values to the audiences of today and tomorrow — and he reacts in typically modest fashion, saying, “We just want to make the most compelling watches on every level, in terms of design, technical innovation and value.” And it should be said that in terms of value, Omega has made a tradition of shaming the competition with incredible details such as the already mentioned luminous bezel on a watch that costs a fraction of many other modern sports chronographs. And during this conversation it becomes clear that “what is to come” is represented best at Omega by its dynamic CEO, because he clearly holds the key to the brand’s future in his very capable hands.